The Sensor books are listed below in the order they should be read. Melena Sanders faced her fair share of danger with insurgents and terrorists when she served in the U.S. Army, but now she is about to go up against a new threat. Her best friend, Aniya, has disappeared while on a trip to Fairbanks, Alaska—a supernatural haven. Most humans have no idea darker races lurk amongst them. Mel knows better. If she wants to get her friend back, she’s going to have to go in alone—but not unarmed. 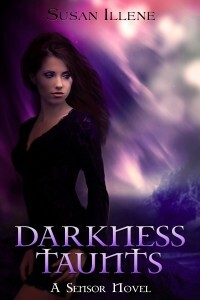 *For a short prequel story to Darkness Haunts, click here. **For a short story set between Darkness Haunts and Darkness Taunts, click here. Melena Sanders has managed to avoid all things inhuman for most of her life, but after coming to Fairbanks, Alaska to rescue her best friend from supernaturals she hasn’t been allowed to leave. That is, until her long-time nemesis comes to collect a favor she owes him. Lucas might be half angel, but he’s all bad as far as she’s concerned. Paying him back might get her out of town for a while, but her new destination will be anything but enjoyable. 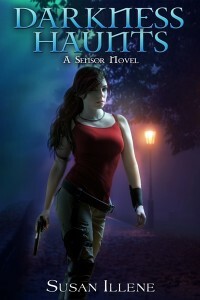 Mel’s got to help the nephilim take care of a demon possession outbreak in Juneau. Although something like this hasn’t happened for thousands of years, Lucas is certain Melena’s rare abilities are the key to solving the problem. With violence in the capital city growing, she’s going to have to figure out how to stop it fast before the trouble spreads to other places. Not only that, but working closely with Lucas is changing the dynamics of their hate-hate relationship—worrying her even more than the demons. Getting back to her captivity in Fairbanks never looked so good. The longer a man lives, the greater the chance his actions will cost him in the future. When that man is an immortal nephilim, the misdeeds can really pile up. Lucas has paid for the crimes of his past for centuries, resisting any close relationship that might make his life even more difficult. Until Melena. Only she could begin to melt the ice shielding his heart, but then he was captured by his greatest enemies—angels. Now imprisoned in Purgatory, he’s awaiting trial for his latest crime and knows the verdict will not be in his favor. Lucas is resigned to the fact his life might be over, but fears without his protection Melena may not survive for long. She’s got her own enemies back in Alaska and her mortality makes her easy prey. Whatever happens to him, he must find a way to keep her safe. No matter the cost. Originally published in The Stroke of Midnight anthology in late 2014 this story is newly revised. This story takes place between books 2.5 and 3 in the Sensor series timeline. Melena is the narrator. But for a sensor, peace is always an illusion. A magical explosion is about to rock the earth between Alaska and parts of Canada, bringing with it a new wave of fear. People she cares about will be hurt and she’s going to need answers. Are her enemies trying to flush her out of hiding or are they up to something even more sinister? It will take all of her newfound strength and the help of every ally she’s got to put a stop to their plans. There’s no avoiding it. Melena must keep her promise to return the fae device that opens the portal to Purgatory. Except there’s one problem—Kerbasi. How can she go when she has one of heaven’s minions practically attached to her hip? One who will strike fear in the hearts of the fae the moment they realize who he is. When her shape-shifter cat suddenly gets sick, she can’t delay the trip any longer. Only the fae can help get Sable healthy again. And if Kerbasi tries to cause any trouble while they are there, she’ll just have to find creative ways to keep him in line. 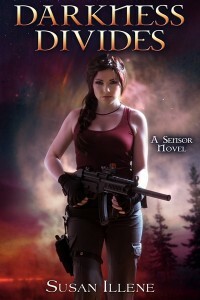 Between her service in the U.S. Army and her new life living with supernaturals in Alaska, Melena Sanders has had her loyalty and duty tested in every possible way. 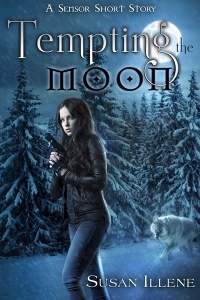 Tensions among supernatural factions in Fairbanks are growing after the city’s recent attacks and she must pick a side. Her nephilim lover, Lucas, needs her help to search for his missing brother—whose disappearance may not be all it seems. And agents from the Department of Homeland Security are lurking about investigating the suspicious “earthquake” that rocked the region four months ago. It’s not the best time to be planning a trip out of town, but troubles in Fairbanks aren’t her only problem. A greater supernatural plot is developing and only by attending an upcoming ball in New Orleans can she discover more. There’s no way to avoid it. Her loyalty and duty to those she cares for are about to clash. Originally featured in the “A Very Paranormal Holiday” anthology. 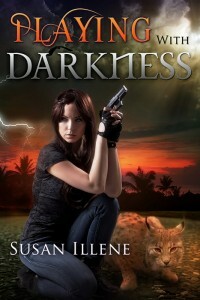 Facing the Darkness has since been revised and updated. Winter has come to Alaska and it’s about to be joined by death. Since moving to Fairbanks, Melena Sanders has watched too many of her friends die because she couldn’t react fast enough. When a mysterious illness comes along targeting only supernatural races she’s determined to stop it. But as the death toll climbs she realizes finding a cure is more complicated than she thought. Melena might have to give in to plans to reveal the existence of supernaturals to the human world—as it may be the only way to save them. NOTE- See the Dark Destiny Series page for Sensor Series spin-offs.